Sharp eyed readers probably already see some of the problems with this draft. But first, a little background. Currently, the primary certification in the United States for the thoracic surgery specialty is the American Board of Thoracic Surgery examination (ABTS) which is the entry-level requirement for thoracic surgeons after completing their surgical fellowship in thoracic surgery. While, the ABTS certification requires a biannual re-certification to maintain credentials, this certification only covers the minimum requirements for thoracic surgery. It doesn’t address the newest technological advances in this specialty. This is problematic for consumers seeking surgeons specially trained and experienced in performing techniques such an uniportal surgery. It also creates difficulties for surgeons seeking this skill set since there is no clearly defined coursework required to obtain these skills. But, certification and credentialing are not the same thing. Certification is generally a national or internationally recognized achievement, whereas credentialing is a more local process, from hospital to hospital or organization to organization. Credentialing is done not to recognize surgical skills or achievement but to protect the healthcare facility from the kind of liability that arises when imposters impersonate medical personnel, physicians with suspended licenses continue to practice, and similar such circumstances. Being credentialed within a healthcare network, or hospital facility isn’t an achievement per se, it’s a requirement for most of us to receive a paycheck. It’s also extremely variable, as this draft details, and subject to the whims of the Joint Commission. STS focuses on credentialing – not certification.. But this is thoracics.org – so we don’t have to. We have the luxury of considering the bigger picture. But regardless of whether we talk about certification or credentialing, we need to first define what we are referring to when we use this terminology. 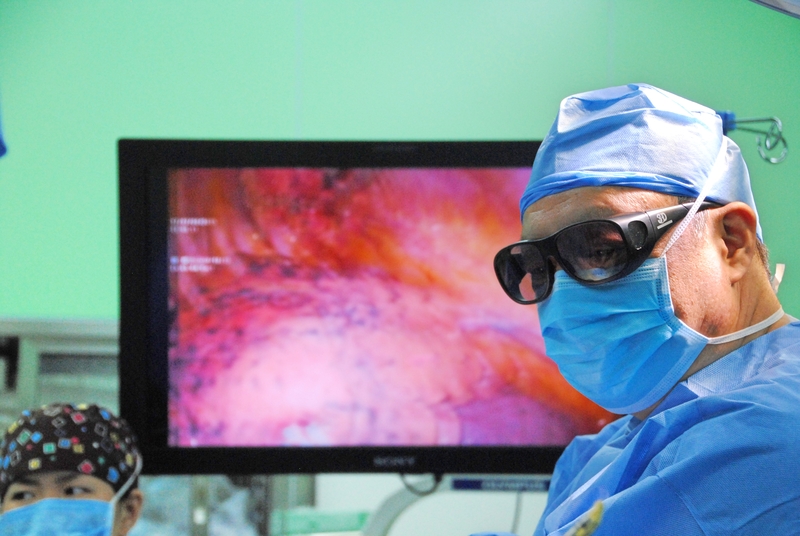 Does traditional (3 or more port) video assisted thoracoscopy qualify? What about robotic assisted surgery? A new document by the Society of Thoracic Surgeons Task force on General Thoracic Surgery Credentialing attempts to define minimally invasive thoracic surgery. In the document, the authors propose set definitions to replace this vague terminology to better clarify these distinctions. In this, they partially succeed. How does a surgeon become a minimally invasive surgeon? What are the qualifications for performing minimally invasive surgery? Does a weekend conference with lecture-only content qualify? What about more extensive wet-lab courses? Is there a case minimum for surgeons claiming competency in this surgical technique? In their pursuit of credentialing guidelines, Blackmon et. al outlines a complicated set of checklists, proficiency levels and other suggestions for hospitals seeking to credential and privilege surgeons to perform these procedures. The authors claim that the purpose of this document is not to mandate the training requirements for a proposed credentialing process. 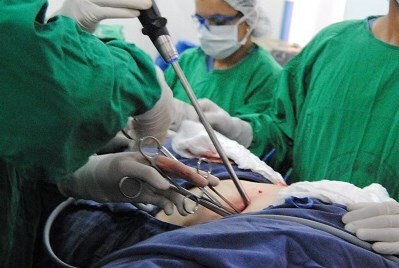 In contrast, any proposal for a certification process in minimally invasive thoracic surgery techniques, by definition, would require mandates and strict requirements. Not only that, but I disagree with their premise regarding credentialing. Credentialing should be equally arduous and less ‘historically’ defined. These mandates would be a useful and valuable tool to guide and aid both consumers and surgeons. Surgeons and residents in thoracic surgery would have a clear cut curriculum to use as a road map for obtaining training and surgical proficiency. Consumers would have a guarantee that surgeons with these certifications had completed the minimum standards for training. The authors propose a complicated set of proficiency levels to account for differences in regional and facility specific criteria. The task force does such to prevent an undue burden on each surgeon to conform to a rigid set of minimum criteria, thus ‘grandfathering’ in surgeons who may have obtained their training outside of traditional frameworks. While I understand this consideration, in this aspect, I disagree. While the authors intentions are sincere, a less complicated, but more strict set of qualifications would better serve the specialty. Instead of having multiple levels of qualifications, a uniform approach would be less self-serving and more easily understood by consumers. In this case, greater transparency is needed to protect the public, and maintain public trust. Surgery, like every other service industry, is becoming more and more consumer-driven every day. Using levels of proficiency that read as, “Has taken VATS training, lecture-format only” or as cited by Blackmon et al. “the clinician has learned VATS lobectomy at our course, completing an animal skills model assessment and achieving level 3 skills verification” places too great of a burden on the consumer. It is also serves as a disservice to thoracic surgeons and the thoracic surgery specialty in general. By trying to be “all-inclusive,” the task force has weakened the value of this ‘credential’. If a hospital wants to privilege a surgeon to perform a procedure after the surgeon has watched it on Youtube, that’s something for their risk management department to take on – but an advanced specialty certification would eliminate a lot of these shenanigans, (but maybe that’s what STS is hesitant to take on). It certainly won’t be popular politically among many of the more traditional surgeons that serve as much of the general body of STS. Traditional VATS as advanced technology? Lastly, I find it discouraging that as a specialty, thoracic surgery is still talking about traditional VATS as an advanced surgical technology. It initially emerged in the early 1990’s and by now, should be standard fare for all thoracic surgery fellows of the past decade. The most recent guidelines consensus statements (of 2013) recommend VATS as first line treatment for a multitude of conditions. Three-port VATS is no longer something out of science fiction, for today’s surgeons, it should be bread and butter. By that criteria alone, standard VATS shouldn’t even be in consideration for inclusion as minimally invasive surgery. That title and definition should be reserved for the more advanced, and more specialized techniques, whether robotic or uniportal. Blackmon et al. (2015). STS Expert Consensus Statement: a tool-kit to assist thoracic surgeons seeking credentialing for new technology and advanced procedures in general thoracic surgery. Read draft here. You have until 5/27/2015 to send STS your opinion.